I have a Jagdpanther and a Jagdpanzer IV L70 in my stash, I would be interested. Another great option for the campaign... Burro kit sales are set to skyrocket. Daily minesweeping is a must! Found the kit with the donkey in it. At least I think its a donkey. I will be finished with campaigns at the end of September, so an October start is perfect - Count me in! Now I have to decide on a subject. There will be no donkeys on the ribbon! How many of you guys are doing the donkeyfaust, now? Yes, that would be an interesting way to show us your modelling skills. Just ensure that your panzerschwein are of the high-velocity, low-trajectory type. I like the 2nd ribbon - nice colour scheme and still characterizes the theme of the campaign. I would have to vote for #3 - Tanks in the cross-hairs! Really sums up the campaign theme. I'd like to join this campaign, if I can manage to juggle two at the same time. I'll build either the Dragon Stug IV early with zim or the Tamiya SU76M. Those are some great looking ribbon ideas! thank you for presenting them! I'm torn between #2 and #3. I'll get in on this with something. 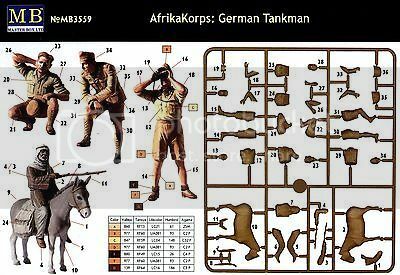 I have beau-coups of AT types - Towed, tracked, smaller, larger, German (it would take a solid effort for most armor modelers to avoid having some German AT thing if they have much of a stash! ), Russian, British, French, US... I'll identify something by September! And I promise; NO AT-DONKEY (horse, pig, dog, goose, or whatever) from me! I might join this one too. Happy to help out Gaz -- am torn between all three Anyways I leave the voting to all you panzerjagers. Hmmm... reading thru the regs, am kinda considering a wingy thing -- been a long long time since... Will see how it goes.